The following post is from Gina Baber a Library & Information student at UCL. Gina has produced an excellent paper looking at the positive and negative impact of volunteers in public libraries. The full article can be found on the UCL website. I came across the article via Twitter and Ian Anstice also highlighted it from the Public Library News site. However, it’s well worth publicising a widely as possible and Gina has kindly agreed to it being posted here. Gina can be followed on Twitter @Gina_Baber and I highly recommend that you do. The following essay is a discussion on the impact of using volunteers in Public Libraries. It will focus on the experiences of Library Professionals and Volunteers; and consider the overall effect of Volunteers on the Public Library Service. Managing a sizeable cohort of volunteers is a complex undertaking, and there are many aspects of management that need to be taken into consideration. These include: the challenges faced in training volunteers with little or no experience of library work; the varying reliability of volunteers (some can only commit to a few hours a week, or less, and they are often unable to commit to a regular shift pattern); and the effect volunteers have on staff morale, including staff who have seen colleagues made redundant, and who are being required to train volunteers who have replaced paid staff. The Volunteer Manager role is almost always performed in addition to an existing Librarian or Library Manager role. For example, Maria Bernal, who is the part-time Librarian and Volunteer Manager at Woodberry Down Volunteer-run Library (London Borough of Hackney), is also the Librarian at Homerton Library. Many volunteers are used in Community Outreach and Engagement roles, supporting paid staff and promoting the Library Service. 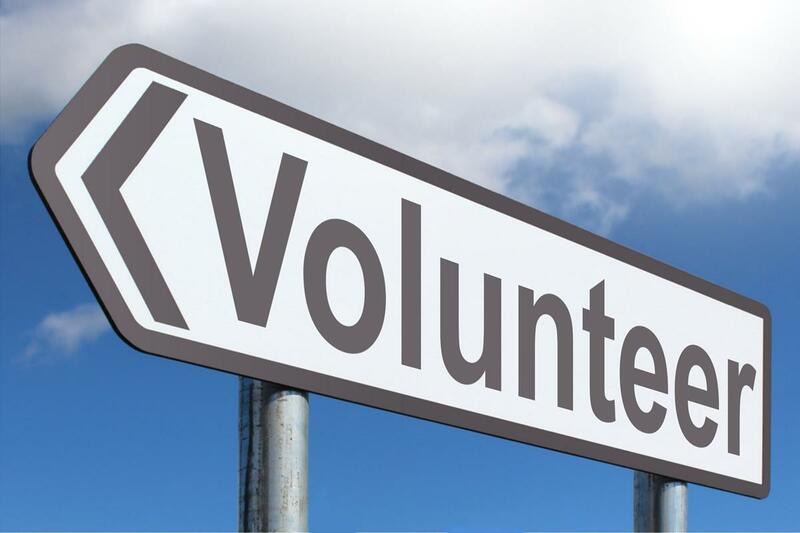 Examples of these volunteer roles include: assistance with the Summer Reading Challenge; IT and Digital Literacy sessions; reading groups; and the Home Library Service for users who are unable to visit the Library due to a disability or ill health (11). As well as a desire to assist the Community, there can be many other reasons people volunteer. These can include volunteering as a way to improve self-confidence or sociability; to gain experience before applying for a paid position; or as a way of gradually integrating back into the workforce. Volunteering can have a positive effect on volunteers with learning difficulties; mental health issues; those dealing with loneliness, bereavement, social isolation and social anxiety; those dealing with unemployment and the struggle to find work or return to work; and those with extended periods of illness which have impacted on their confidence, self-esteem and motivation. Interviewer: ‘Have you had any positive feedback from volunteers on the voluntary work they do? Volunteers come from different professional or non-professional backgrounds, frequently with little or no experience of managing a Library. The view of the Library as a cultural hub and centre of the community, motivates volunteers to keep the service running; often with limited resources, shorter opening hours and few or no professionally trained Library staff. Interviewer: Do you think Equality and Diversity are fairly represented in Libraries that rely on volunteers? Another issue with Volunteer recruitment, is the lack of equality and diversity amongst volunteers recruited. This lack of equality and diversity can have an impact on the relationship between the volunteer and Library user; and the quality of the service provided. The less diverse the workforce, the less diverse the range of knowledge; experience and understanding of different cultures; attitudes; beliefs; and lifestyles. A lack of diversity, coupled with little or no understanding of information literacy, may ultimately lead to a biased or limited information service provision. Volunteers may be unaware of appropriate data protection laws and copyright, for example; and be unaware of the most efficient, accurate and ethical ways of finding information, such as using the most current databases to search for medical information. Library volunteer roles are sometimes given titles with a professional association, for example ‘Marketing Assistant’, Library Ambassador’ and ‘Library Events Facilitator,’ which suggest a more serious position, with greater responsibility; and may result in an increased level of commitment from the volunteer. The language used can be encouraging for Volunteers, but problematic in its confusion with professional roles. Job titles used on the ‘Volunteering Wales’ website, for example, include ‘Assistant Librarian’ and Library Administrator.’ The requirement for the ‘Assistant Librarian’ role requests that the volunteer has ‘no particular skills, and training will be given.’ The role involves ‘talking to the public and using the computer to log books in and out.’ (23) Language and role descriptions like this, are in danger of undermining the view of the Library Professional. Some Public Libraries do not believe in the importance or necessity of qualified Library staff, and the retail customer service model is often favoured over the knowledge and professionalism of a Librarian ‘…Being a qualified librarian is desirable, but not essential for front line staff. Also, a colleague was telling me recently that “…CILIP’s own research shows than only 46% of those polled think that librarians provide trustworthy information. This does put librarians in the top 5 professional nationally, but at the same time it’s not a full endorsement either”…’ (25). It was interesting to hear that the Idea Store do not use volunteers, believing that ‘…services are lessened by the use of volunteers, so Idea Store do not take on volunteers to do the work of professional, trained staff.’ (26) There appears to be an awareness of the current situation, where volunteers have been frequently replacing professional staff; but one cannot help but feel that management is missing out on valuable expertise, knowledge and service development potential by not employing qualified Librarians. The general view amongst Library Professionals and many users, seems to indicate that replacing paid professional staff with volunteers will result in a lower quality service provision. Volunteers should, where possible, only be used to support experienced, qualified staff. Volunteers are a positive addition to a workforce, when used to support certain activities, but should not be relied on to run a Library service ‘…experience would suggest that the most effective use of volunteers is to support paid staff in delivering specific activities (storytimes, job clubs, reading schemes, etc. ), rather than taking on the day-to-day logistics of running a library’ (28). Personal experience of using (or attempting to use) a volunteer-run Library, has been problematic and disappointing, with the Library in question frequently closing early, or being unable to open due to lack of volunteer availability. For users reliant on accessing resources, including computers and internet access, this can be greatly inhibiting and frustrating. The impression created, is one of an inefficient Library Service – a service that is unreliable and nonfunctioning. Ultimately, the user may be forced to look elsewhere for information and resources; and the trust in the service is reduced. Reduction in paid professional staff and reliance on volunteers, also has an impact on the availability and discovery of accurate and balanced information sources; and there may be issues with volunteers’ inexperience with intercultural competences and diversity. Volunteers can be used in a positive and effective way, and volunteering can have a positive impact on those who volunteer. In a Public Library context however, volunteers need to be managed carefully. Where possible, they need to support and not undermine professional paid staff; and they need to be offered regular training, support and feedback. Volunteers should not be expected to take on the responsibility and workload of experienced, trained Information Professionals. There should be a clear distinction between the role of a volunteer in supporting the Library service, and representing it entirely. Evidence shows that volunteer-run libraries are not sustainable, and cannot run in an efficient, freely accessible and wholly ethical manner. Leadership and management from paid professionals is essential in maintaining the standard of a Public Library service. Without paid information professionals working as true representatives of the service, perception of Public Libraries will be further degraded and the public may lose an important resource capable of empowering and mobilising individuals and communities. Is it Ok for you for me to reblog this? Please do and thank you for taking an interest. I länder som USA och Storbritannien – och för den delen Danmark -handlar en del av debatten om volontärer på bibliotek. En stor del av verksamheten bygger på frivilliga krafter. Även i Sverige finns det friviligarbetande som troligen har påverkan på tjänsteutbudet (t ex språkcaféer, korsordshjälp etc). På några orter är det frivilliga krafter som driver det nedlagda eller nedläggningshotade biblioteket. Samtidigt är det allt fler bibliotek som satsar på meröppet – utan personal alls. Det finns fördelar och nackdelar med frivilliga på bibliotek. Gina Baber har analyserat dessa!